Who could put an END to Thanos in Avengers: Endgame? And can they do it quicker than a finger snap? Avengers: Endgame is mere weeks away from being released. As of now, it is the most eagerly anticipated movie of the year. The latest MCU film officially and finally drops on April 26. When it does release, you can bet everybody and their momma is going to be clamoring to go see it. Avengers: Infinity War ended with a cliffhanger to end all cliffhangers. 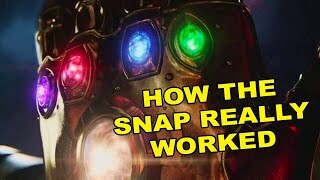 Not only did Thanos win and beat the Avengers, but he ended up snapping away half of the Marvel Cinematic Universe. Needless to say, that was enough to keep everyone dying to see what happened next. After a year of predictions, rumors, and speculation, it's about time audiences find out who is going to be the one to bring The Mad Titan to dust. The list of unusual suspects who can do such a thing runs long and heavy. 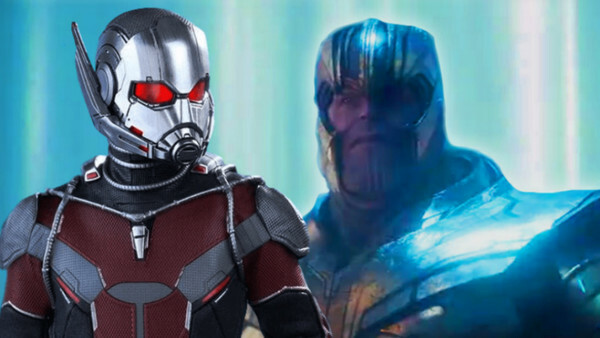 While The Avengers got canned for the most part in the last movie, there's still quite a few names who could be capable of defeating Thanos in Endgame. Right now, readers may be thinking one thing: Why is Gamora? First off, stop quoting Marvel movies all the time and start forming complete sentences. Second, the Titan's daughter has what it takes to put a stop to her father. That's "why Gamora." To be perfectly honest, both of the Mad Titan's daughters have a chance at dealing the final blow to Thanos. However, due to their history in the last film, Gamora is most likely. What gives Gamora an edge over Nebula - and most potential Thanos slayers for that matter - is because she's spent so much time with him. As his favorite daughter, the green lady was likely led on to all of the purple man's weaknesses. Keeping this sort of knowledge tucked away would come in handy if there was ever a point where he got on her bad side. Considering he killed her, he's way past just a "bad" side. Many have predicted that everyone who died in the last film will somehow return in the next one. That would have to include Gamora, just in time for Guardians of the Galaxy 3, by the way. Of course, before they can guard any more galaxies, she has some unfinished business with her old man. As long as she can find a way back from the dead and out of the Soul World, Thanos is toast.